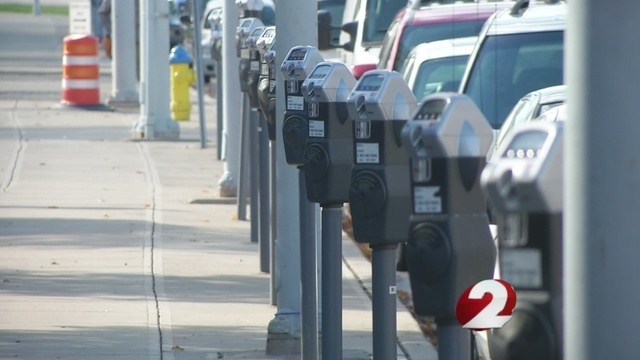 TROY, Ohio (WDTN) – Troy City Council has approved adopting a new timed parking ordinance that will reinstate time-limited parking on March 24. Troy Daily News reports that parking will be enforced Monday through Friday from 8 a.m. until 6 p.m. with the exception of legal holidays. The ordinance would eliminate Saturday enforcement. The majority of parking violation fines are $20 within the first 48 hours and then increase to $50 after the grace period. The fines do not include handicapped parking violations. On Monday, the streets and sidewalks committee approved a recommendation to reinstate four-hour, two-hour, and 30-minute timed parking areas as well as free parking in city lots and unrestricted side street parking for downtown Troy. The four-hour zones are as follows: Four spaces in front of City Hall, three spaces in front of Ark & Echo, South Market Street from East Franklin Street to the Public Square on both sides, and East Main Street from North Mulberry Street to the Public Square on both sides. The two-hour zones can be found in the parking spaces along the sidewalks of the Public Square. The 30-minute spaces are: 16 spaces on the inner quadrants of the Public Square, three spaces in front of City Hall, one space in front of The Caroline, one space at the corner of East Main Street and South Walnut Street, two spaces on the corner of North Walnut Street on the west side, one in front of Grandpa Joe’s candy store, one space in front of the former La Piazza on North Market Street, one space on West Main Street in front of For All Seasons, one space on South Cherry Street on the east side of the street at the corner. Gov. Mike DeWine has announced the creation of the Distracted Driving Advisory Council.